In recent years we have invested a great deal of time and effort to building relationships with Scotland’s colleges. During 2016 alone we worked across nine of them, supporting both staff and students to recognise best practice in challenging sectarianism and helping people better understand difference. Participation in our ‘Beyond Religion and Belief’ programme has also supported College’s to meet their Equality and Diversity responsibilities. Since signing up, the Colleges involved have benefited from various; FREE workshops, Staff CPD training sessions, student lectures and student seminars. A number of Colleges have participated in our awareness raising and tackling sectarianism campaigns. NBM staff have supported ‘Health & Wellbeing’ weeks, sat on the judging panel of The City of Glasgow College’s ‘Embracing Diversity’ Competition and volunteered at Fresher’s Fairs which have proved an excellent opportunity for us to reach thousands of students. Nil By Mouth have been made very welcome at a number of events and value the opportunity to be able to promote recent campaigns such as #KissBigotryGoodbye and ‘Just the Tip of the Iceberg’. ‘Pitch Perfect’ is an exciting marketing competition which gives further and higher education students the opportunity to create and design their very own anti-sectarian awareness campaign. Winning students from our pilot College, The City of Glasgow College produced a fantastic campaign, ‘Kiss Bigotry Goodbye’ which aims to highlight the positives of being a football fan in Scotland. HND Marketing Students from The City of Glasgow College took part in the competition as a requirement of their SQA Higher National Unit: Advertising: Researching and Planning a Local Campaign. Now in its 3rd year running we look forward to another exciting final where the students will be given the opportunity to pit their wit against a panel of experienced judges drawn from the worlds of marketing, PR and journalism. The success of the competition has been evident through the support and interest shown, from the Moderator of the Church of Scotland to the Partick Thistle Mascot, Kingsley. The #KBG campaign received significant coverage in the media with the Herald, Evening Times, BBC Scotland, STV, Sky Sports News, Scotsman, The National and numerous local radio and news outlets featuring it. 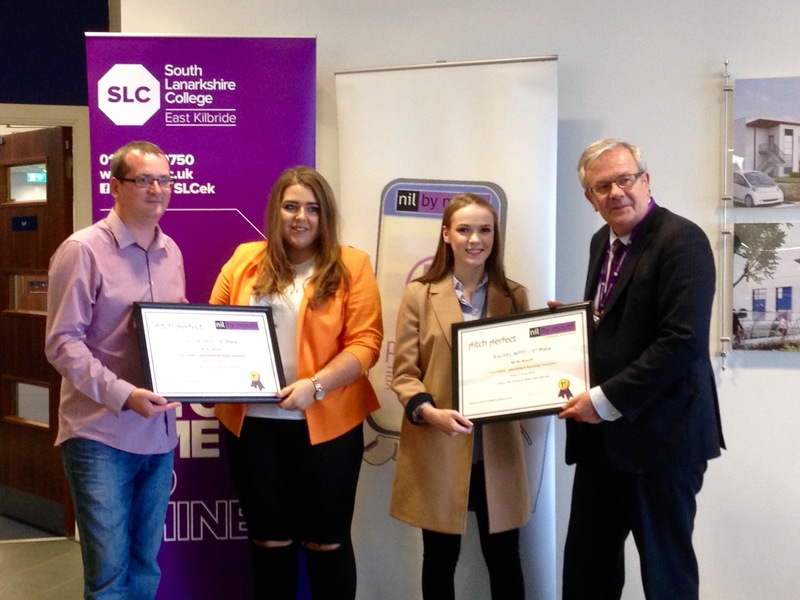 2016 saw a number of other College’s come on board including Business Students from South Lanarkshire College and The HIVE Students from Ayrshire College. Glasgow Kelvin College’s Photography and Art & Design students will take part for the first time during 2017! In South Lanarkshire College we have been delivering staff training since 2012 and the college has also enthusiastically embraced several of our awareness campaigns across its East Kilbride campus. 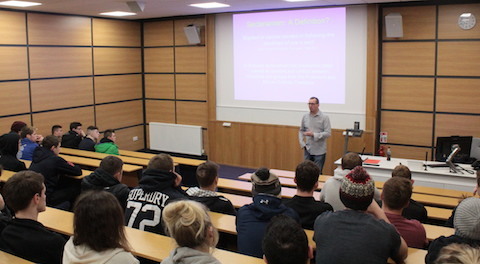 In December 2016 more than 60 Sports Students from Borders College took part in workshops and were keen to learn more about the impact of sectarianism and examples of it happening in work and online. Participants discussed rights and responsibilities in the workplace and the impact that posting sectarian content online can have on job prospects and gaining employment. Students were shown real tweets and facebook posts as part of NBM’s ‘Pause B4U Post’ initiative. A campaign which seeks to highlight the consequences of using sectarian language online and discussed a number of high profile cases involving footballers and celebrities including Sports personality, Celtic FC captain, Scott Brown. NBM’s workshops are suitable for students on any course. Previous sessions have been delivered to; Construction, Social Care, Modern Apprentices and Teaching Students from UWS and Strathclyde Universities etc. Staff from Partner Colleges have taken part in workshops through the ‘Beyond Religion and Belief’ programme which provides staff with an understanding of sectarianism and an opportunity to consider how they can respond to instances of it on campus and the workplace. The scheme, which has been highly successful since its launch in 2011, has delivered workshops to numerous organisations and Colleges. Best of all – there was no costs attached to any of the engagement above.